JOHN GALLIANO, the former head designer of Christian Dior, fell from grace this past February when a video surfaced of him making obscene anti-Semitic remarks in a Paris bar. He was immediately fired, shunned by even the most loyal Dior devotees, and whisked off to rehab. He is now supposedly “cured” of his drug addiction, which he blames for the outburst, and so there he is in the September issue of Vogue, posing at Kate Moss’s wedding. About some things fashion is so forgiving. (This week, a French court found him guilty of making racially abusive statements). I thought about Galliano while reading Hal Vaughan’s book about Coco Chanel. This biography distinguishes itself from the many other Chanel biographies by tackling the dicey subject of Gabrielle Chanel’s activities during World War II—a topic that has strangely received very little attention in the existing literature. Biographers of Chanel have instead chosen to focus on the more inspiring and glamorous aspects of her life—her incredible intuition for fashion, her transformation from a penniless orphan into one of the richest and most elegant ladies in France, her purported love affairs with illustrious figures such as Stravinsky and Picasso. But there is another side to Chanel’s story that has been left largely untouched. In addition to being the woman who invented the little black dress, Coco Chanel was a fierce anti-Semite (although she had no problem doing business with Jewish families who made her rich), and a smiling collaborator with the Nazis. According to Vaughan, one reason that Chanel has been able to escape censure is that she flat out lied about the full extent of her activities when she was arrested and questioned in court after the war. Though her lies were hardly airtight, and could easily have been discredited, Chanel’s money and influence (Winston Churchill was an old friend) kept her out of jail and safe from exposure. The other reason that her activities have not been truthfully discussed, and this is my own assumption, is that the fashion world has always been in love with Coco Chanel, and more than a little reluctant to discredit her. There is no doubt that Chanel had a certain genius for fashion; through her clothes, she helped to create the modern woman, also known as the garçonne, and in doing so she helped to change the way women were perceived, and the roles they were able to perform. A garçonne was a woman who wore her hair and her dresses short; who could have many love affairs and never marry; who was active and tanned; who was not afraid to put on pants and ride a horse or drive a car like a man. Chanel’s clothes were simple yet elegant enough for a garçonne to wear, inspired by the machine-age aesthetic that valued efficiency and practicality. And with her slim figure and beautiful face, Chanel embodied the garçonne, and was her own best model. It is no wonder, really, that none of the dozens of biographies and movies that have been made about Chanel have been interested in the ugliness of her life, because there is so much glamour and beauty to focus on instead. It thus works to the book’s advantage that Vaughan has little-to-no experience writing about fashion. This is not a book about style or design. It is a frank and unsentimental portrait of a figure that fashion writers are nearly incapable of criticizing. Vaughan has worked as a foreign correspondent and a documentary filmmaker, and has written books on the French Resistance and American spies. While his discussions of Chanel’s contributions to fashion add nothing new to the extensive literature on her, Vaughan more than makes up for it with his impressive research and the never-before-seen information that he has unearthed about her wartime activities. To be fair to Chanel, her activities as a spy were underwhelming—hardly the stuff of Le Carré, and nowhere near as scandalous as Vaughan would perhaps wish them to be. Yes, she did visit German headquarters in Berlin, and yes, she was acting on behalf of the Nazis, but one of her missions (she only went on two, and the other was in essence a glorified vacation in Spain), was actually a peace-finding one. Towards the end of the war, a number of powerful Nazis were considering brokering a peace with England behind Hitler’s back (Hitler had declared he would settle for nothing less than “total war,” total success or total failure). Chanel’s friendship with Churchill sparked the idea that she might be able to secure an audience with him for a number of German officials. The plan was doomed from the start, as Chanel never got her audience with Churchill, who was very ill; and according to Vaughan, the Nazis never really expected her to succeed anyway. Far more condemnable were Chanel’s other activities during the war. While her fellow countrymen starved and died, she lived like a queen in the Ritz, surrounded by Nazi officers and enjoying Nazi parties. Berlin ordered that the Ritz was “reserved exclusively for the temporary accommodation of high-ranking personalities,” meaning that Chanel must have made connections with some very powerful Nazis in order to stay there. And there is the matter of her anti-Semitism. In addition to her collaborations, Chanel spoke loudly and vehemently against Jews, and even tried to take advantage of the Nazi seizure of Jewish businesses and property. Her world-famous perfume, Chanel No. 5, was owned and produced by the Wertheimers—a rich Franco-Jewish family. 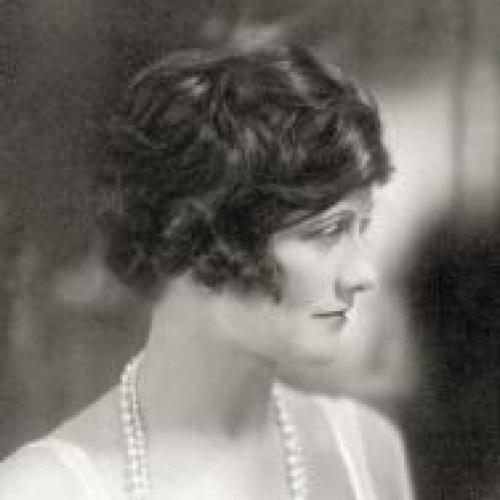 Chanel had always been paranoid that the Wertheimers were stealing from her (though her lawyer assured her of the contrary), and during the war, when the family had fled to America, she attempted to take full control of Chanel No. 5. But the Wertheimers had anticipated that the Nazis (or Chanel) might try to steal their company, and therefore they signed it over to a Frenchman for the duration of the war. Chanel couldn’t touch it. The Wertheimers also sent a spy, Herbert Gregory Thomas (under the pseudonym, Don Armando Guevaray Sotto Mayor), to retrieve the chemical formula to make Chanel No. 5 as well as collect all the necessary ingredients. He then brought everything back with him to America, so that the Wertheimers could continue to produce and sell the fragrance. Vaughan finally gets his spy moment here, and it is certainly one of the most exciting portions of the book. And Chanel was determined to succeed—whether that meant putting up with Picasso, Spatz, Nazis, Jews, or, perhaps worst of all, Americans. She was a supremely expedient woman, a woman who knew how to shift her loyalties seamlessly with the changing tides. When American GIs liberated Paris, Chanel ran to her boutique and started handing out free bottles of Chanel No. 5 as gifts for their mothers and their sweethearts back home. Though she had spent the war cradled in the arms of a Nazi, Chanel welcomed her liberators, and they in turn waited in huge lines for her valuable product. She was tough, unafraid, and opportunistic, ever aware of the changes in power and adjusting herself accordingly; a woman who lived solely in the present, embracing whoever or whatever would allow her to remain on the top. Anything unpleasant in her past could always be dispelled by that legendary fragrance of hers. Or so she hoped; unfortunately, some things cannot be perfumed away. Isabel Schwab is a former books and arts intern for The New Republic.